Kansas Secretary of State Kris Kobach, who is helping lead President Donald Trump’s commission on election fraud, says he is running for governor. The Republican was announcing his 2018 bid Thursday in Lenexa, Kansas. 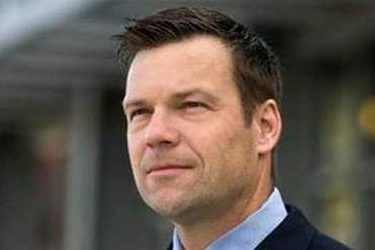 Kobach has helped draft laws and ordinances in several states aimed at cracking down on illegal immigration, and he has a national reputation for championing tough voter identification laws. He has been advising Trump since before the election. Kobach’s announcement comes just two days after Kansas legislators enacted a law rolling back income tax cuts championed by current Republican Gov. Sam Brownback. Lawmakers did so by overriding Brownback’s veto. Kobach strongly criticized the move. Kobach is also a strong abortion opponent and gun-rights advocate. The 51-year-old has been Kansas’ secretary of state since 2011.